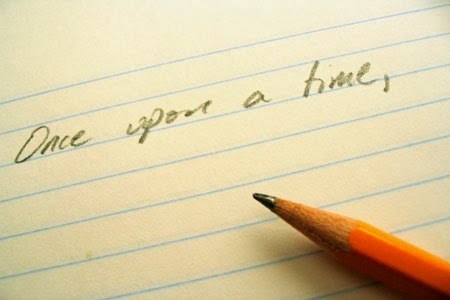 Writing is a skill that is integral to your success in school, in the workplace, and also in life itself! It’s the method through which we communicate with a large audience of people. Not everyone that you interact with can listen to you explain what you are trying to express, sometimes you will have to write things down. This fact can worry a lot of people, those that have sub-par writing skills may get very worried and end up giving up writing altogether. But, through the wonder of the internet, there is a multitude of websites that can help you with your writing. All of them help in a different way, and if you use even one of them, you will find that your writing improves tenfold! So get to know these next few websites, as they might save you when you are going through a difficult writing exercise or essay! You may have seen things about Grammarly in adverts on the internet. Truth is, it’s a really helpful service. Grammarly works alongside your word processing document seamlessly. You probably won’t even notice it at first. But as soon as you spell something wrong, it will suggest the correct spelling to you instantly. I know what you are thinking, that sounds just like a spellcheck, right? Well you’re wrong! Grammarly also can support you in improving your grammar! If you have written a sentence where the grammar is off, a comma is in the wrong place, or where you’ve used a bit of a dull word, Grammarly will suggest ways in which you can correct yourself! If you use this service, you will notice your grammar and diction improve a whole lot! It’s a great way to put that extra professional touch on any work or essay you are doing, and it’s easy to download! Ever felt isolated and alone with no one to turn to when writing an essay? Well the good people over at PapersOwl now have you covered! You can order research papers for sale at PapersOwl online. Wondering how it works? Basically you input a bit of information about the particular piece of work you are struggling with, information like it’s word count and the date it’s due in. As soon as you do that, the team at PapersOwl get to work, assigning you an expert writing partner. As soon as they have done this, you will begin to converse with your partner and inform them what you need help with. Maybe you need some quotes, some help with structure, or maybe you just want the whole thing written for you! The people over at PapersOwl are employed to help you in any way possible, this is a great site for those students who feel they have a bit too much work to do and need to alleviate some of it to save themselves some time. It offers expert advice and support for an affordable price. Though you knew all the facets of Google? Well think again! They have a service that is set up, that can be of great service to any struggling student. 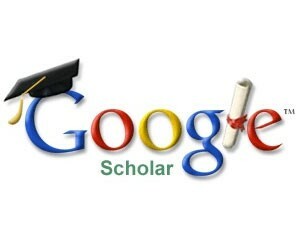 Google Scholar is a website that has thousands upon thousands of professionally written journals and essays ready to access at the click of a button. It is a database of interesting and useful documents. If ever you are struggling to find some effective quotes for a topic, Google Scholar is where you should go. It is made for those students that want to push their writing a little further. It is designed to be easy to use for references and citations. This site can really help your essay to achieve an organised and professional look! And it’s run by an extremely successful company so is easy to navigate! All three of these sites can really help you if you are struggling with your studies. Each one helps in a different way, Grammarly will help you to keep your sentences sharp and coherent, PapersOwl can give you professionally written essays that you can use or take inspiration from, and Google Scholar can provide you with information from prestigious journals and books in an easy-to-use way. You combine all of these together and you will be able to put together some amazing essays that really impress your teachers. So go and visit each site today and see what you are able to do when you have them on your side!